2nd International Conference on Cell and Gene Therapy was organized on April 15-16, 2018 at the UNA Hotel, Milan, Italy. The conference was marked with the attendance of Editorial Board Members of supported Allied Academies Journals, Scientists, young and brilliant researchers, business delegates and talented student communities representing more than 15 countries, who made this conference fruitful and productive. I would like to give special thanks to the Speakers of the conference whose presence helped to make this event a great success and your enthusiasm and positive spirit helped make our time together both productive and fun. We wish you all the best and hope that you continue to be engaged with future conferences. 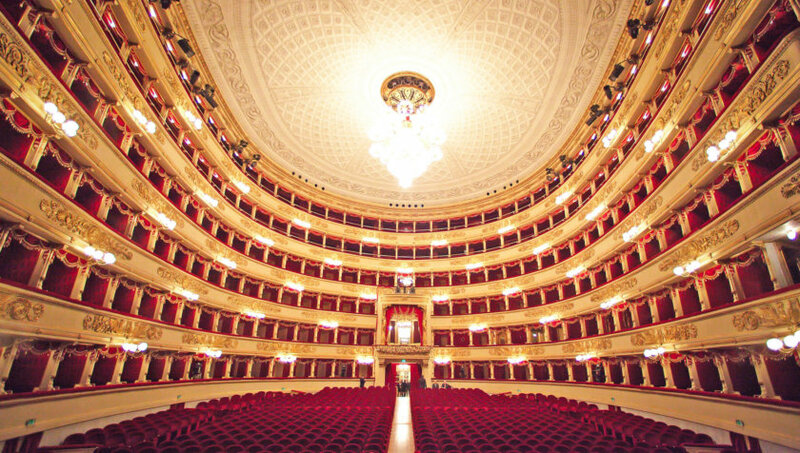 The conference was embarked with an opening ceremony followed by Keynote sessions and followed by a series of lectures. We would like to express our sincere gratitude to Honourable Speakers, Chairs and Moderator. We are also obliged to various delegate experts, company representatives and other eminent personalities who supported the conference by facilitating active discussion forums. We sincerely thank the Organizing Committee Members for their gracious presence, support and assistance. With the unique and positive feedback from the conference, Allied Academies would like to announce the commencement of the "3rd International Conference on Cell and Gene Therapy" which is being organized during March 16-17, 2020 at Philadelphia, USA. 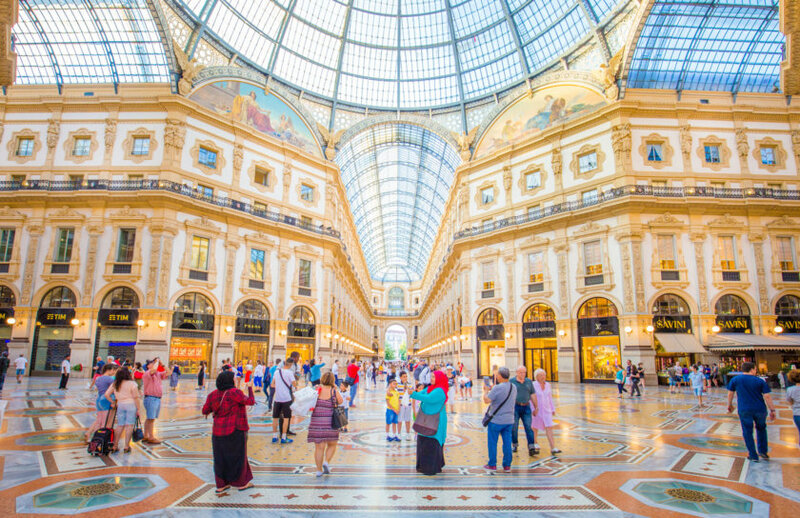 We cordially invite all the participants from all over the world to attend 2nd International Conference on Cell and Genetherapy during April 15-16, 2019 in Milan, Italy which includes prompt keynote presentations, Oral talks, Poster presentations, Young Research Forum, E-Poster presentation and Exhibitions. Cell and Genetherapy Conference hosting presentations from editors of prominent referred journals, renowned active investigators and decision makers in the field of Genetics and many related field. Cell and Genetherapy 2019 Conference deals with the diagnosis, prevention, and treatment & therapies of diseases of the gene specific, organ specific including the latest techniques in current era. Cell and Genetherapy 2019 is an extraordinary event designed for International medical health professionals like Immunologist, Oncologist, Neurologist, Genetic researchers and associated people of gene and cell research to facilitate the dissemination and application of research findings related to Cell and Gene therapy. The conference invites participants from all leading universities, clinical research institutions and diagnostic companies to share their research experiences on all aspects of this rapidly expanding field and thereby, providing a showcase of the latest techniques. Cell and Gene Therapy 2019 provides two days of robust discussions on methods and strategies related to management and quality improvement of Cell and Gene Therapy as well as explore new ideas and concepts on a global scale and the topics include Genomic Engineering, Biomarker, Advances in Cell and Gene Therapy, Immunogenetics & Transplantation, Regenerative Medicine and many related topics of gene and cell. 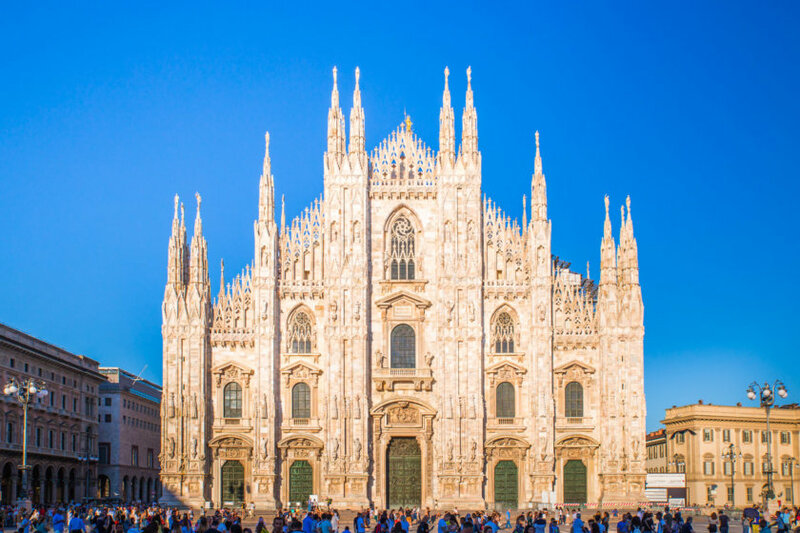 We are delighted to invite you a new initiative, "2nd International Conference on Cell and Genetherapy” during April 15-16, 2019, going to be held in Milan, Italy. 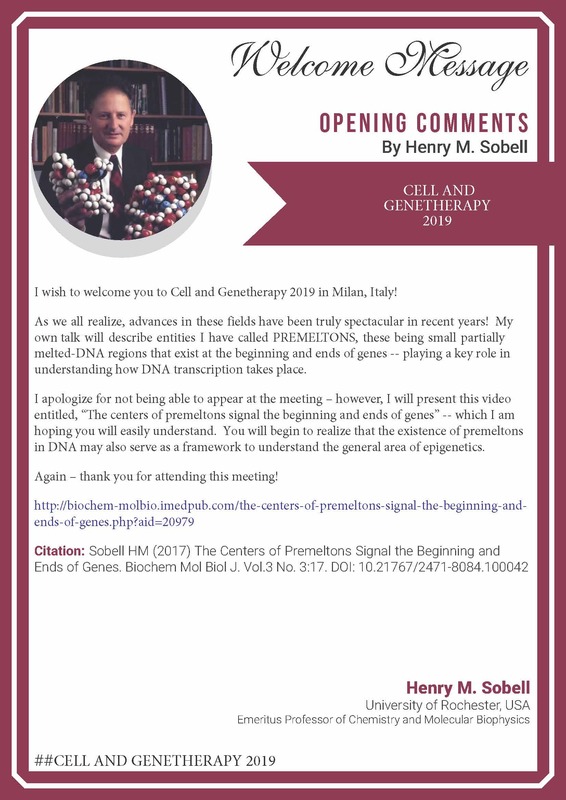 Meeting invites you to the Conference on Cell and Genetherapy 2019 going to be held in April with the topic, “Cell and Genetherapy 2019” This international meet foresees several delegates including Keynote speakers, Oral presentations by prestigious speakers and publication presentations by understudies other than representatives around the globe. This gathering may be a mammoth occasion that makes a perfect stage to share aptitude tending to current advancements required in Cell and Gene Therapy. Cell Therapy or Cytotherapy is the transfer of cells into a patient with a goal of improving the disease. From beginning blood transfusions were considered to be the first type of cell therapy to be practiced as routine. Later, Bone marrow transplantation has also become a well-established concept which involves treatment of much kind of blood disorders including anemia, leukemia, lymphoma and rare immunodeficiency diseases. Alternative medical practitioners perform cell therapy in the form of several different names including xeno-transplant therapy, glandular therapy, and fresh cell therapy. It has been claimed by the proponents of cell therapy that it has been used successfully to repair spinal cord injuries, strengthen weaken immune system, treats autoimmune diseases like AIDS, help patients with neurological disorders like Alzheimer’s disease, Parkinson’s disease and epilepsy. Gene Therapy basically involves the introduction or alteration of genetic material within a cell or organism with an intention of curing the disease. Both cell therapy and gene therapy are overlapping fields of biomedical research with the goals of repairing the direct cause of Genetic diseases in DNA or cellular population respectively, the discovery of recombinant DNA technology in the 1970s provided tools to efficiently develop gene therapy. Scientists use these techniques to readily manipulate viral genomes, isolate genes and identify mutations involved in human disease, characterize and regulate gene expressions, and engineer various viral and non-viral vectors. Various long-term treatments for anemia, hemophilia, cystic fibrosis, muscular dystrophy, Gauscher’s disease, lysosomal storage diseases, cardiovascular diseases, diabetes and diseases of bones and joints are resolved through successful gene therapy and are elusive today. A Stem-Cell line is a group of undifferentiated stem cells which is cultured invitro and can be propagated indefinitely. While stem cells can propagate indefinitely in culture due to their inherent cellular properties, immortalized cells would not normally divide indefinitely but have gained this ability to sustain due to mutation. The Immortalized cell lines can be generated from cells by means of isolating cells from tumors or induce mutations to make the cells immortal. An immortalized cell line is a population of multicellular organism cells which has not proliferates indefinitely. 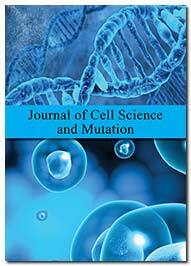 Due to mutation, the cells evaded normal cellular senescence and instead undergoing continuous cell division. A key factor in reducing the production costs of biopharmaceuticals is the development of cell lines which in turn produce a high yield of product. Regenerative Medicine is the branch of translational research deals with the process of replacing, engineering or regenerating human cells, tissues or organs in order to restore or establish normal functionality of cell. Regenerative medicine is the combination of tissue engineering and Molecular Biology. Cell Therapy mediate cell repair via five primary mechanisms: providing an anti-inflammatory effect, homing to damaged tissues and recruiting other cells such as endothelial progenitor cells for necessary tissue growth, supporting tissue remodeling over scar formation and inhibiting apoptosis programmable cell death and differentiating tissues into bone, cartilage, tendon and ligament tissue. Clinical Trials of Cell and Gene Therapy products often varying from the clinical trials design for other types of pharmaceutical products. These differences in trial design are necessitated by the distinctive features of these products. The clinical trials also reflect previous clinical experience and evidence of medicine. Early experiences with Cell and Gene Therapy products indicate that some CGT products may pose substantial risks to subjects due to effect at cellular and genetic level. The design of early-phase clinical trials of Cell and Gene Therapy products often involves the following consideration of clinical safety issues, preclinical issues and chemistry, manufacturing and controls (CMC) issues that are encountered. Diseases can be treated using viruses as vector to deliver genes in Gene Therapy. Viruses as gene vector however, can themselves cause problems in that they may initiate inflammation and the genes may be expressed at too high a level or for too long period of exposure. The goal of Nano Technology in gene therapy is delivery of therapeutic genes without a virus, using nanoparticles as non-viral vector to deliver the genes. The particles can be made with multiple layers so the outer layer with covering of peptide that can target the particles to cells of interest at specific site. The emergent Nanotechnology in gene therapy is used to develop unique approaches in treating the retinopathies and the development of micro and Nano dimensional artificial antigen presenting cells for cancer immunotherapy. These antigen presenting cells mimic the natural signals in immunity that killer T-cells receive when there is an invader (bacteria, virus, cancer cell, etc.) in the body. Gene therapy is a superior method to treat uncommon hereditary maladies; fix a solitary quality deformity by presenting a 'right' quality. The main quality treatment preliminaries were directed utilizing patients with uncommon monogenetic issue, however these are presently dwarfed by the clinical testing of quality therapeutics for more typical conditions, for example, malignancy, AIDS and cardiovascular illness. This is halfway because of an inability to accomplish long haul quality articulation with early vector frameworks, a basic prerequisite for amending numerous innate hereditary deformities. Presently, with the appearance of adeno-related viral (AAV) and lent viral vectors, which show steady quality articulation in creature thinks about, this mechanical obstruction, may have been survived. These vectors are foreseen to shape the premise of numerous gene therapy protocols for acquired hereditary illnesses. The extract derived from the plant cell culture technology is being harnessed and utilized as an active ingredient in anti-aging skincare products. 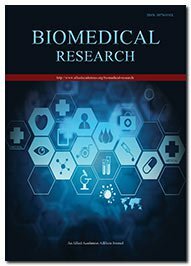 In recent years, researchers have identified naturally occurring botanicals with substantial antioxidant activity proven to protect skin stem cells from UV-induced oxidative stress, inhibit inflammation, neutralize free radicals and reverse the effects of photo-aging by means of anti-oxidant activity. Consequently, cosmeceutical products containing plant stem cell derived extracts have the ability to promote healthy cell proliferation and protect against UV-induced dermatological cellular damage in humans. In contrast to epidermal stem cells, plant stem cells are totipotent that they are capable of regenerating an entirely new, whole plant. Through innovative plant stem cell technology, scientists are able to extract tissue from botanicals and regenerate stem cells can be harnessed for use in humans. The use of stem cells derived from botanicals plant, rather than human stem cells, avoids the controversy surrounding the source or methods of extraction of human stem cells while still harnessing the potential of these intriguing cells and its effect in anti-photo aging. Epigenetics refers to changes in a chromosome which has influence on gene activity and expression. It is also used to describe any heritable phenotypic change that doesn't derive from a modification of the chromosome such as prions. Epigenetics is the mechanism for storing and perpetuating or continuing indefinitely a “memory” at the cellular level. The basic molecular epigenetic mechanisms that are widely studied at present – regulation of chromatin structure of cell through histone post-translational modifications and covalent modification of DNA principally through the method of DNA methylation. Chromatin is a dynamic structure that integrates potentially hundreds of signals from the cell surface and has effects of coordinated and appropriate transcriptional response in cell. It is increasingly clear that epigenetic marking of chromatin and DNA itself is an important component of the cell signal integration of entire function that is performed by the genome. Moreover, the changes in the epigenetic state of chromatin in cell can have lasting effects on behavioral changes. An undifferentiated mass of cell in a multicellular animal which is prepared for offering rise to uncertain number of cells of a comparable sort, and from which certain diverse sorts of cell rise by detachment. Undifferentiated life forms can isolate into specific cell creates. The two describing characteristics of an undifferentiated cell are endless self-restoration and the ability to isolate into a specific adult. There are two critical classes of youthful microorganisms: pluripotent that can end up being any cell in the adult body, and multipotent that is kept to transforming into more limited masses of cells. Cell treatment things require a combination of prosperity examinations. Comparable living being and quality things are heterogeneous substances. There are a few zones that particularly ought to be tended to as it is extremely not the same as that of pharmaceuticals. These range from making group consistency, thing soundness to thing prosperity, quality and sufficiency through pre-clinical, clinical examinations and displaying endorsement. This review plots the present headings/administers in US, EU, India and the related challenges in making SCBP with highlight on clinical point. The immense number of associations related with cell treatment has extended development incredibly in the midst of the past couple of years. More than 500 associations have been recognized to be locked in with cell treatment and 305 of these are profiled 291 co-tasks. Of these associations, 170 are related with fundamental microorganisms. The Profiles of 72 academic establishments in the US related with cell treatment close by their business facilitated efforts. Allogeneic development with in excess of 350 clinical preliminaries is prepared to order the commercialization of cell medicines in publicize. Advance R&D in cell and quality treatment is depended upon to bloom given the normally based purposes of intrigue. The CHO cell line is originally derived from the Chinese hamster ovary and has become a staple source of cells due to their robust growth as adherent cells or in suspension. They are amenable to genetic modifications and methods for cell transfection, recombinant protein expression and clone selection are well characterized. CHO cells can also undergo human-compatible post-translational modifications, making them ideal for therapeutic and pharmaceutical applications like protein manufacturing. CHO cells lack proline synthesis abilities and do not express EGFR. Various variant cell lines have emerged from CHO, such as CHO-K1 which lack dihydrofolate reductase (DHFR) activity. CRISPR (Clustered Regularly Interspaced Short Palindromic Repeats) Technology is a champion among the most fit yet clear mechanical assembly for genome changing. 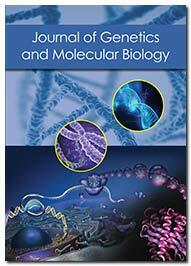 It urges and empowers investigators to easily change DNA groupings and modify quality limits. It has various potential applications that join helping innate disseminates, treating and keeping the spread of diseases and improving yields. CRISPR broadly used as CRISPR-Cas9 where CRISPRs are particular stretches out of DNA and Cas9 is the protein which is an aggravate that exhibitions like a few nuclear scissors, fit for cutting DNA strands. The assurance of CRISPR advancement anyway raises moral stresses as it isn't 100% compelling. Regardless, the progression of CRISPR-Cas9 has disturbed the designed science industry these days, being a clear and great quality changing device. Genetics in Health and Disease in which therapy utilizes genetics, imaging and biological indicators to understand predisposition to disease, what constitutes health during childhood and throughout the life course. Gene and Protein Function are used to develop tools, skills and resources to elucidate gene function and to inform development of new therapies using state-of the-art technologies. Personalized Medicine and Patient benefit is considered to ensure basic science discoveries of disease mechanisms and patient’s genomes are used to produce best effect to improve patients’ lives which include better diagnostics, identification of biomarkers and targeting of therapies. Tissue Engineering or Bioengineering is the combinational usage of cells, Engineering, materials methods, suitable biochemical and physicochemical factors in order to improve or replace the infected biological tissues. The field includes the development of materials, devices, techniques to detect and differentiate disease states, the treatment response, aid tissue healing, precisely deliver treatments to tissues or cells, signal early changes in health status, and provide implantable bio-artificial replacement organs for recover or establish of healthy tissue. Techniques developed here identify and detect biomarkers of disease sub-types, progression, and treatment response, from tissue imaging to genetic testing and Single cell analysis, that aid the more rapid development of new treatments and guide their clinical applications in treating the disorder. It includes the usage of computational modeling, bioinformatics, and quantitative pharmacology to integrate data from diverse experimental and clinical sources to discover new drugs and specific drug targets, as well as to design more efficient and informative preclinical, clinical safety and efficacy studies. Immunogenetics and Transplantation provides specialized diagnostic services for allogeneic transplantation and related research. It provides support for blood, bone marrow, kidney, pancreas, liver, heart, lung, small bowel and cornea transplantation. Currently Immunogenetics & Transplantation is hot topic of discussion. Biomarkers are evolving rapidly in the advance of personalized medicine and individual health. The identification & validation of biomarkers in drug discovery, development and in disease prognosis, diagnosis, prevention & treatment play an essential role in the genomic era. 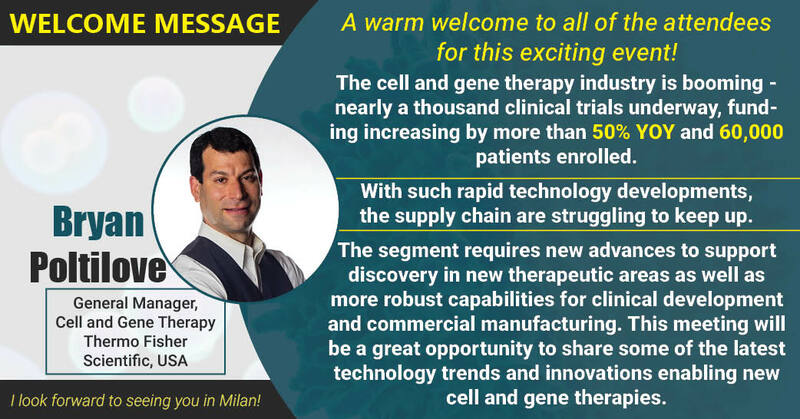 2nd International Conference on Cell & Genetherapy 2019 to be held during April 15-16, 2019 Milan, Italy with the theme of “Novel Innovations in Cell and Genetherapy” The scope of Gene Therapy Market was valued at $289 million in 2016, and is estimated to reach $2,082 million by 2023, registering a CAGR of 32.4% from 2017 to 2023. With the advancement in technology, the gene therapy market has transformed during the recent few years. Cancer gene therapy is a technique used for the treatment of cancer where therapeutic DNA is being introduced into the gene of the patient with cancer. Scope: The Scope of the conference is to gather all the Doctors, Researchers, Business Delegates and Scientists to approach and deliver all the attendees about the latest scientific advancements on the respective sphere. This Cell and Genetherapy Conference is the premier event focusing on understanding individual and organizational behavior and decision-making related to genetics and molecular biology, biotechnology, pharmaceuticals, medicals and academia. 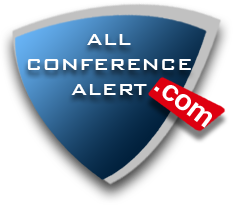 Importance: Conference on Cell & Genetherapy is a much celebrated conference which basically deals with the latest research and developments in the sphere of Cell and molecular biology. This Conference will stipulate a errorless information to all the International mix of leading Research Scholars, and Scientists achieved eminence in their field of study, research academicians from the universities and research institutions, industrial research professionals and business associates along with Ph.D. Students to come and inform all the attendees about the latest scientific advancements on the respective sphere.